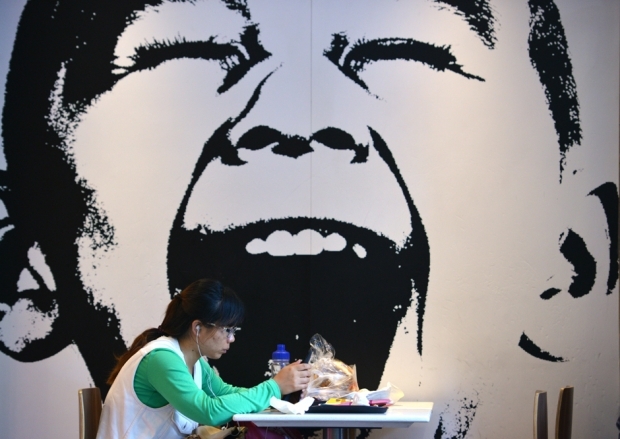 A woman eats at a fast food restaurant in Shanghai on May 22, 2013. China’s top court recently announced its first ever detailed guidelines for the punishment of food-safety related crimes after a string of complaints including supplying meat from animals which died of illness, selling food with excessive amounts of chemical additives, and falsely advertising food products, the report said, citing China’s Supreme People’s Court. By Luna Lin. This article was first published by chinadialogue. Li’s vow came amid China’s latest food scandal, which appears far more serious than Europe’s recent horse meat crisis. China’s public security ministry has announced more than 900 arrests since the end of January for producing and selling fake or tainted meat products. One striking case in Shanghai revealed traders passing off meat from rats and other small mammals as mutton. Meanwhile, farmers in east China’s Shandong Province were found to be using highly toxic pesticide when growing ginger. In Europe, food safety officials uncovered a number of companies passing off horse meat as beef—mostly in ready-meals and burgers. “The use of illegal or substitute ingredients is, at the moment, limited mainly by imagination, technology, and weak law enforcement,” Professor Tsang said. “The food problems, environmental threats and negligence pose a broad challenge to the credibility of a regime that claims to have its people’s interests at heart, but has done such a poor job of protecting their welfare,” Jonathan Fenby, former editor of the South China Morning Post, wrote in a recent Guardian column. In an effort to soothe public discontent, China’s Supreme Court recently issued guidelines for punishing food safety offenses. Meanwhile, premier Li warned at last week’s State Council conference, “never again should we allow a new credibility crisis like the milk powder crisis,” referring to the 2008 scandal which left babies across the country poisoned by tainted milk powder. Several days ago at another meeting, the premier called for a tougher food and drug safety regulatory system to be set up. However, observers are skeptical that the government is heading in the right direction. In Europe, the recent horse meat scandal brought up painful memories of the BSE crisis of the 1990s, where public health was put at risk by sub-standard farming practices. This time the blame has been placed on cost-cutting by food processors, with image-conscious supermarkets quick to placate worried consumers by promising stricter testing of meat.